While I’ve had cats for years and I’ve always known their whiskers come in handy I never knew too much about them until I decided to research this article! 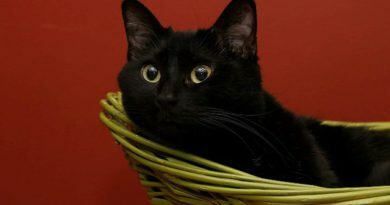 I had no idea all of the different reasons our feline friends have whiskers, and that they had them in so many places. Cat whiskers are pretty darn versatile, probably far more versatile then you’d think! Unlike the ‘whiskers’ we find on our human compatriots that are mostly used for looks, the whiskers on our feline friends have a multitude of uses! They are used for navigation, feeling, emotions and much, much more! So let’s take a look at 10 interesting cat whisker facts to get you up to speed on all the wonderful things your cat whiskers do for your feline friend! You probably assume your cat only has whiskers on the sides of their nose, but you’d be assuming wrong! 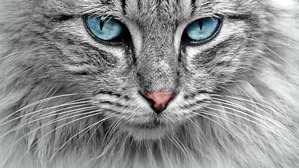 Whiskers are also known as “vibrissae” or in more common terms tactile hairs. Your cat’s whiskers are two to three times thicker than regular cat hair and they are actually found in a bunch of places outside just their muzzle. Whiskers are found above your cat’s eyes (look closely for them), all along the jawline and even behind their front legs. 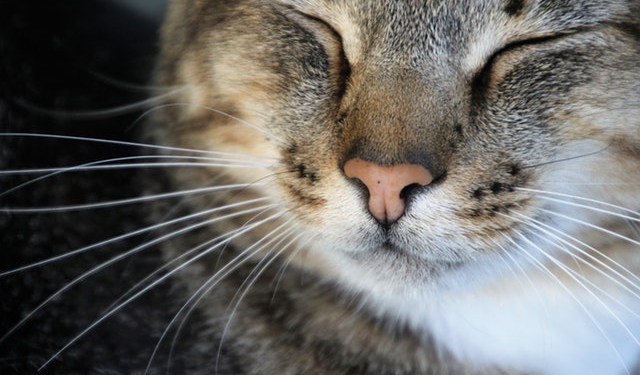 Your cat uses these whiskers for all sorts of reasons, but the most common is helping them navigate based on feelings that come in through the whisker tips. I Can See In the Dark! Whiskers are a heck of a lot more sensitive than a typical cat hair, they are directly wired into the nervous system of our feline friends. The whisker tips come fully loaded with little sensory organs called proprioceptors. These proprioceptors are extremely sensitive and can even feel slight changes in the air flow around your cat. Because of this sensitivity whiskers help your furry friend determine an object’s distance, direction and even surface texture. Pretty useful when it is dark and you might not be able to see anything! Don’t Mess With My Whiskers! Whiskers will fall out from time to time and that is completely natural. Just like cat hair and human hair, they’ll simply fall off and then they’ll grow back over time. No need to worry if you find one on the floor or one pops off while you’re scratching your cat’s chin. Unlike cat hair though, you’ll definitely want to avoid any trimming or grooming of your cat’s whiskers! If you do mess with her whisker’s you could be leaving her hampered from a sensory standpoint which is especially dangerous for a cat that goes outdoors. On top of that, pulling on them or messing with them can actually be painful given how deeply rooted into the nerves they are. 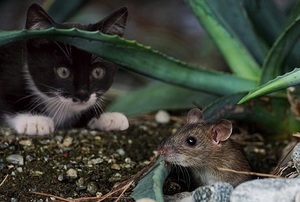 Just like any other organ, eyes, ears, etc., whiskers can be overloaded from constant pressure or usage. 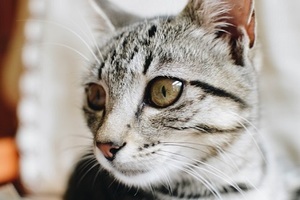 If you find that your cat likes to knock food all over the place out of the bowl before eating then your cat might be suffering from what is called ‘whisker fatigue.’ This is generally caused by your cats’ whiskers being constantly pressured from the edges of the bowl. You might need to try using a different bowl. The whiskers I referenced that we find on the back of the front legs are primarily geared toward helping your cat during the hunt. Particularly they come into play after your cat has pounced and might be wrestling with prey. They basically serve as an indicator of where the prey is and how it might be moving so your cat can more safely kill its prey. Why might they need this? Well, your cat doesn’t have the best eyesight in the world for objects nearby. Have you ever noticed how they have a hard time finding a treat in your hand right under their nose? And even if they could see close up their prey is often under them out of eyesight. This is the reason for these whiskers. Is My Cat Happy or Sad? If you’re familiar with cat behavior you know their hair gives off a bunch of signs that will help you understand how they are feeling. Whiskers play into this as well if you’re a careful observer. If your kitty’s whiskers are pulled in close to the cheeks you might want to avoid your cat for the moment because they could be in a lousy mood. Relaxed whiskers, those pointing out to the sides as you’d generally see them, mean a relaxed and happy cat. Time for some chin scratches! Whisker length is typically associated with the size of your cat. Your cat will often use her whiskers to determine if she can fit through a space or not and whiskers help her do that quickly. The bigger the cat the more likely the whiskers are big too! As for the cat with the largest whiskers in the world? Well, that’s Fullmoon’s Miss American Pie from Finland. The last recording of those whiskers was in 2005 and she set the Guinness World Record measuring in at 7.5 inches long! That’s one big set of whiskers! Where’d The Word Come From? The word “whisker” dates back to the early 17th century and it was from the Middle English word “wisker” meaning something used to whisks or sweep. No surprise I suppose since if you took a bunch of your cat’s whiskers and grouped them together you’d probably be able to create a pretty nice little broom out of them! The whiskers on the sides of your cat’s muzzle have their own specific name, mystacial whiskers! Be careful, it isn’t mystical, it is mystacial! There are typically somewhere in the order of a dozen of these on each side of the feline face, but you might find a few less or a few more. It is no surprise you are probably most aware of these whiskers, they are by far the longest on your cat’s face. One other cool tidbit on these mystacial whiskers, your cat can actually control them because they are connected to muscles in the face! Imagine if you could control your mustache guys? Whiskers can change color over time, just like the rest of your cat’s hair. If you start to find grey or white whisker’s among the rest of the group then there’s nothing to worry about! 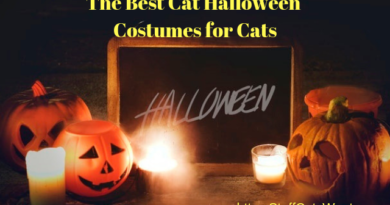 It becomes most obvious if you’ve got a cat that has a black or dark colored coat. 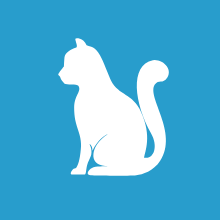 This slow change is totally natural and will likely continue as your kitty gets older. Your cat’s whiskers are pretty darn cool body parts on the overall. Who knew they had so many uses and they factored so heavily into the survival of our feline friends for so long?! If nothing else, I’m far more impressed with my cat’s whiskers than I am with my own facial hair, mine seems sorely lacking usability and versatility after finding all of this out. 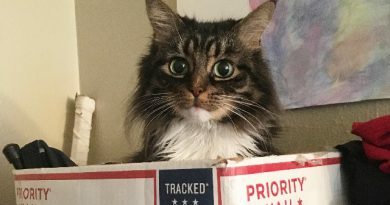 If you have any experiences you’d like to share about your cat and his or her whiskers then please let me know by leaving a comment below or write me directly at Craig@StuffCatsWant.com.